Beyoncé and Jay Z released the first part of their Bonnie and Clyde trilogy today. Directed by Dikayl Rimmasch, the short film takes inspiration from Bonnie and Clyde and stars Bey and Jay as their alter-egos who are outlaws on the run from the law. 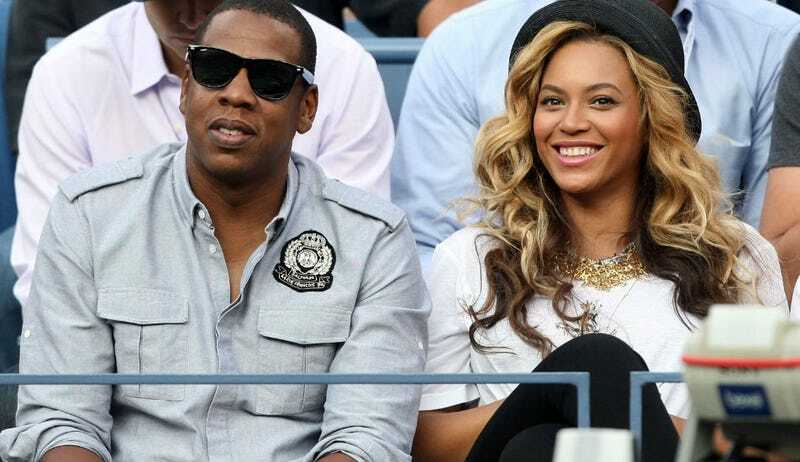 Clips from the film were shown throughout the tour this summer and were also used as part of the trailer for HBO's upcoming "On the Run" special, which is set to air on September 20. An exhibition and full screening of the film will be held in New York City at the Clic Gallery on September 19. How did you work the Bonnie and Clyde story in a new way? DR: In my first conversation on the telephone with Jay Z he explained his concept of On the Run. He said: "We're not trying to do this literally, it's not that we're Bonnie and Clyde. We're on the run from everything. On the run from becoming a cliché. On the run from doing the same thing again." Everything he mentioned was a level of consciousness he has for staying alive as an entertainer and as a human being. He wanted to keep it more abstract because for him it was very abstract. How do you stay new, not just to your audience but also yourself? George Clooney will be honored with the prestigious Cecil B. DeMille Award at the Golden Globes next year.